Finally! The Olympics! Pity I’m not rich enough to go to Beijing, not like Jasmine’s father who is going there FOC sponsored by Adidas. I’m quite surprised they managed to get Beijing out of the SERIOUS POLLUTION ZONE in just 3 months (or so my Science teacher says). Is it even possible? I reckon not. Soon, after the Olympics, the factories would be clanging and the roads would be full of irritating vehicles again. Anyways, since I’m too indifferent to read newspapers, all that I know about Malaysia linking to China is that Lee Chong Wei is representing Malaysia as the badminton player. And is Nicol David included too? Maybe. DO you know the mascots? You know, those doll-like things? They’re the only thing I know about the Olympics. 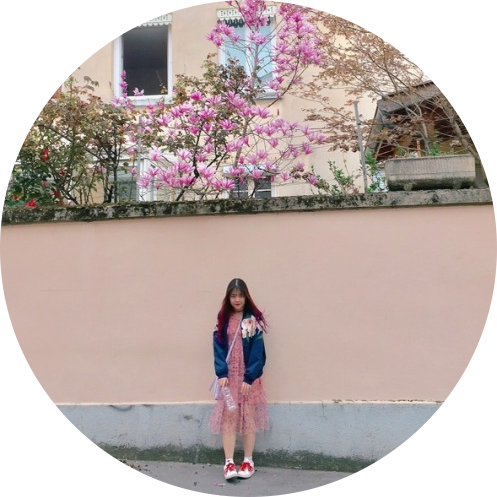 I father bought a set of their keychains and stuufed toys when he went to ShenZhen. They’re Bei Bei, Jing Jing, Huan Huan, Ying Ying and Ni Ni. 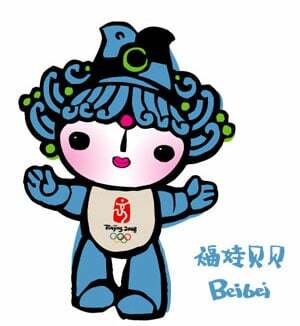 According to Chinese-tools.com, The “crown” on Bei Bei’s head is a fish, symbolising prosperity. She is good in swimming and is also called The Blue One. 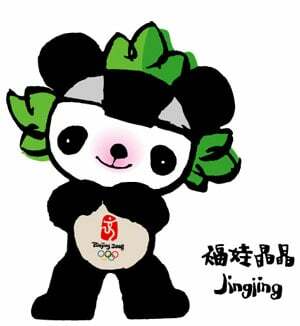 Jing Jing, The Black One, is (obviously) a panda and is the symbol of happiness. 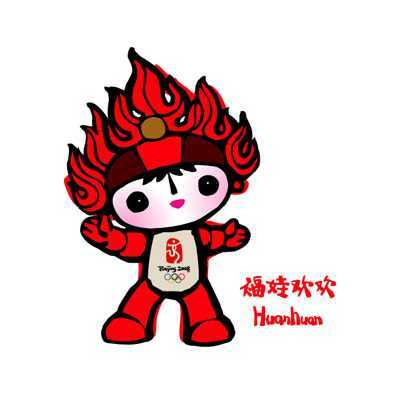 Huan Huan is the eldest brother and is also called the child of fire, symbolising the Olympic flame and has a passion for sports. He is The Red One. 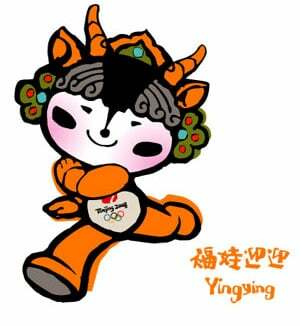 Ying Ying, a Tibetan antelope is agile and is able to run really fast, which makes him The Yellow One. 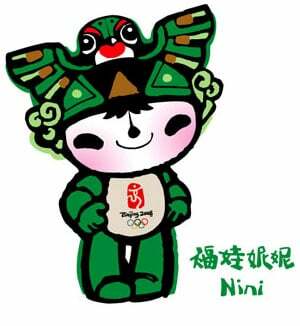 The crown on Ni Ni’s head is a kite and her golden wings spread good luck wherever she flies. The Green One is excellent in gymnastics. I wonder if there’ll be any Shell Shell in the Malaysia Olympics to come. Unfortunately squash is not in this Olympics, and it will not feature in the 2012 Olympics either. Let us hope that squash has better luck in bidding for a slot in the 2016 Olympics! Thanks for supporting Datuk Nicol! unfortunately, LCW din win d gold medal.. sigh..
wmsiew: thx 4 ur info! i’ll keep my fingers crossed in hope of Nicol’s victory in d olympics someday! yu sha: yup, we were 0.1 inch close to winning. sigh.